The Volkswagen group had already announced its intent to consolidate their Indian operations earlier this year and Gurpratap Boparai, MD Skoda India, will take over as the group leader from January 2019. Speaking to Carwale, Boparai confirmed that the group will launch two products each under the Skoda and the Volkswagen brands in 2020-21 as the development of the new India-specific platform has already begun. Dubbed the MQB-A0-IN, this new platform will retain the safety and other virtues of the global MQB-A0 platform, but will be adapted to the sub-continental sensibilities to ensure maximum localisation. While confirming that the first product to spawn from this platform will be an SUV, Boparai said that it will be a Skoda since the Czech brand has been appointed to lead the India 2.0 charge. 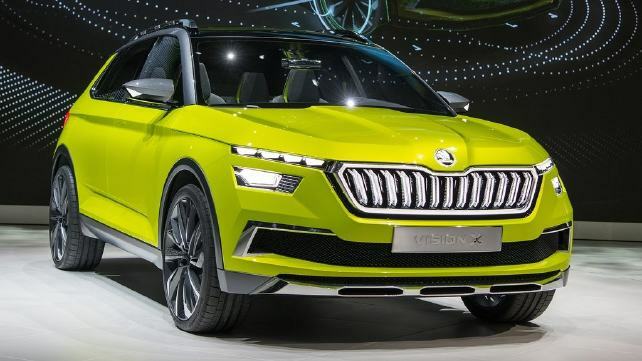 The new Skoda SUV is said to be based on the Skoda Vision X Concept, but will be developed bespoke for the Indian sensibilities which demand more space for the rear passenger unlike the front-row focus of the European/American markets. Speculations are rife that the other Skoda might be a sedan and we do agree, especially since the current line-up of Skoda starts from the Rapid. As for Volkswagen, the T-Cross is being touted as the first SUV on the MQB-A0-IN. Boparai confirmed that the Indian T-Cross will also be specially developed for the Indian market and will be different from the Brazilian model as it will look to add more muscle and cabin space. Gurpratap Boparai also said that since both brands will share space in the market on a near-equal basis, both brands might not necessarily enter the same space at the same time. While the demand for SUVs is high and can accommodate entrants from both Skoda and Volkswagen in the Hyundai Creta-Nissan Kicks-Renault Duster segment, we think, Volkswagen might get the next-gen Polo, a premium hatchback to go along with the T-Cross SUV to cover a wider segment spread.